The decision by the Constitutional Court nullifying former president Jacob Zuma’s appointment of the country’s prosecutions boss three years ago closes an unhappy chapter in the country’s recent past. It undoes a wrong that threatened a key institution and the functioning of the criminal justice system in the fledgling democracy. The court declared invalid the attempt by Zuma to terminate the appointment of National Director of Public Prosecutions, Mxolisi Nxasana. It ruled that Zuma had abused his power by offering Nxasana a golden handshake of more than R17m to get him to leave office. He eventually accepted the offer. The Constitutional Court also confirmed that Zuma’s subsequent appointment of Advocate Shaun Abrahams was unlawful and invalid. It ruled that when Abrahams was "appointed", there was no vacancy in the office of the National Director of Public Prosecutions. That’s because Nxasana was legally still serving in that position. As one cannot validly be appointed to a position that’s not vacant, Abraham’s appointment was thus unlawful and invalid. "result in untold dislocation in the work of the NPA and in the administration of justice itself." The golden thread running through the Constitutional Court judgment is a concern that the independence of the prosecuting authority has been compromised, and might again in future. This is deeply concerning as an honest and independent National Director of Public Prosecutions is pivotal to the proper functioning of the criminal justice system. "With a malleable, corrupt or dysfunctional prosecuting authority, many criminals – especially those holding positions of influence – will rarely, if ever, answer for their criminal deeds. Equally, functionaries within that prosecuting authority may… 'be pressured… into pursuing prosecutions to advance a political agenda'." "that he was effectively buying Mr Nxasana out of office. In my book, conduct of that nature compromises the independence of the office of NDPP." The court’s concern about the future independence of the National Prosecuting Authority (NPA) also led it to declare certain parts of the law governing the body invalid. 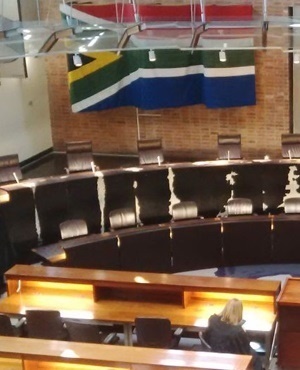 The Constitutional Court declared two sections of the act that governs the NPA invalid. The second - Section 6 – allowed the president to suspend the director without pay, and for an indefinite period pending an inquiry into his or her conduct. "the method of appointment, the method of reporting, disciplinary proceedings and the method of removal … from office, and security of tenure." "a fit and proper person, with due regard to his or her experience, conscientiousness and integrity." - Pierre de Vos is the Claude Leon Foundation Chair in Constitutional Governance at the University of Cape Town.